Calgary City Council has unanimously approved zoning for a Brookfield Office Properties project that will give downtown Calgary two new skyscrapers, one of which will be the tallest building in the city – surpassing The Bow by eleven meters. 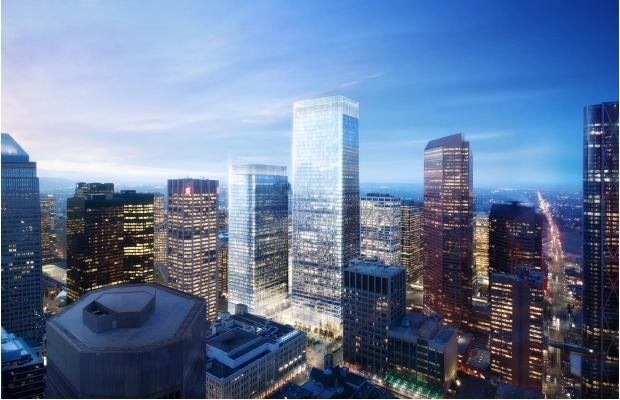 Brookfield has planned 56- and 42-storey office towers will be a full-block commercial development, with approximately 2.8 million square feet of space located between First and Second streets and Sixth and Seventh avenues southwest in downtown Calgary. There will be a three-storey, 50,000-square-foot transparent glass pavilion connecting the buildings for a Plus 15 pedestrian skywalk.